Can a colour save the planet? Michel Pastoureau’s new book, Green. 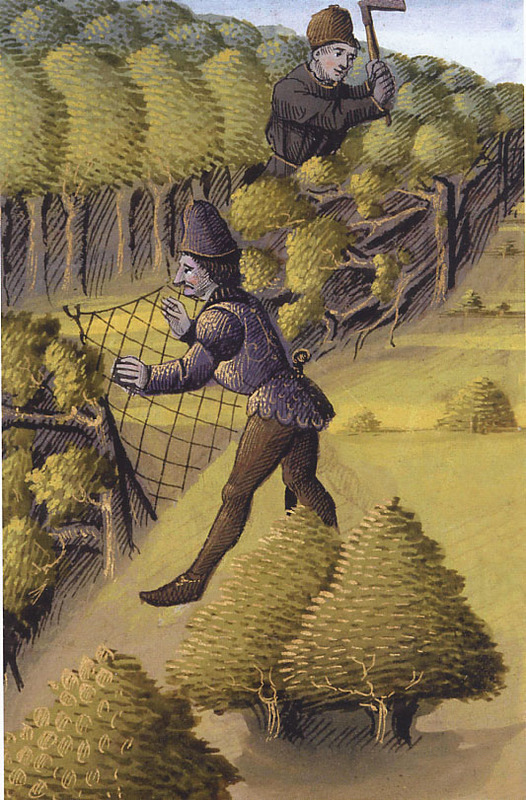 Miniature of hunters dressed in green from illuminated manuscript of the Livre de la chasse, by Gaston Phoebus, c.1470, taken from Michel Pastoureau’s new book, Green, published by Princeton University Press. Everyone has a favourite colour, as well as a particular bête-noire. 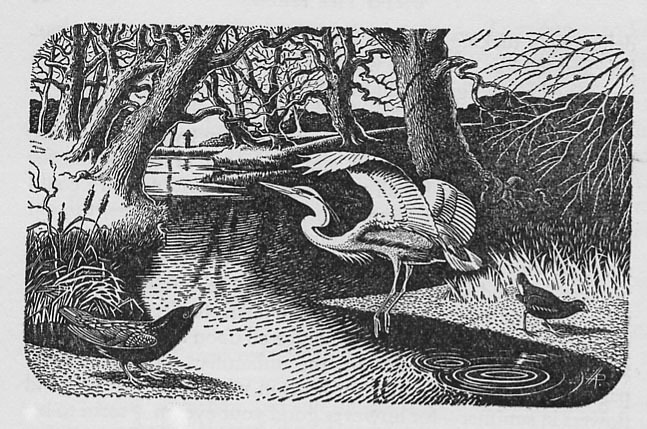 The artist Edward Bawden, who along with Eric Ravilious adopted Essex and made an art out of its ramshackle farm outhouses, small-holdings, and bleak winter fields, once said that the approach of Spring filled him with horror, knowing that everything would turn green. 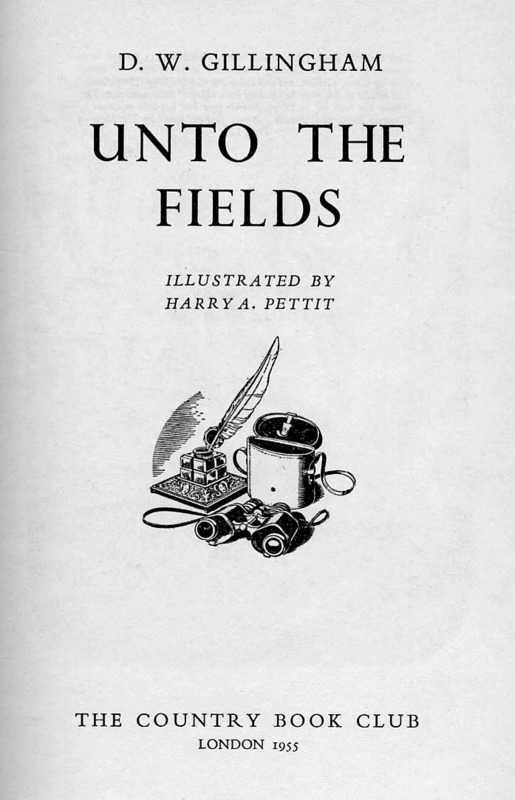 Both he and Ravilious preferred the browns, russets, mauves, greens and muted colours of the furrowed fields, decoy ponds and fens of East Anglia in winter. Yet today green is not only the colour of the age we live in, but its politics, economy and even its future. How so? In Michel Pastoureau’s fascinating new book, Green: the history of a colour, translated by Jody Gladding – the third in his series of monographs on colour – the French historian writes of a colour which has been ‘long unnoticed, disliked, or rejected, (and) now is entrusted with the impossible mission of saving the planet.’ Can a simple colour – not even one of the primary colours – really possess this power? Well yes, and no, seems to be the answer. It helps if, like Pastoureau, you understand that colours do not embody essentialist qualities, unchanging over time and culture, but are social constructs, given meaning within the cultures in which they are used. So in different periods in European history green has been loved and feared, admired and detested. While it is the colour of Spring and renewed growth in the natural world, it is also the colour of putrefaction and even of the decaying corpse itself. When the Icelandic sailor and warrior Erik the Red landed on a large island in the North Atlantic, he found it so amenable that he called it Greenland. Furthermore, it has long been the sacred colour of Islam, with Pastoureau suggesting that it might have been adopted originally in opposition to the red and white of the Crusades. The use of the colour by artists is equally mutable, and here too the conventions change over time. Until the late 19th century the sea was always painted green, since when it has usually been painted in varying shades of grey or blue. Pastoureau has a wonderful short chapter on what he terms Protestant ‘chromoclasm’ – in short, the cultural war on bright colours in both religious and artistic contexts. Portraits of great Protestant thinkers and martyrs showed them predominantly dressed in black; churches were rendered less ornate and colourful. Colour and morality appear intertwined in different periods. For more than a hundred years the green of the sports field has been echoed in the green baize of the card table and the billiard hall, a site of chance, fortune or danger, and painters have been adept in employing the colour in this subliminal way. In recent times green has acquired new associations. In a rather denatured form it has become the colour of the world of medicine and public health (in French the colour is vert clinique): the green cross of the pharmacy, the green walls of the operating theatre (as well as, quite frequently, the public toilet). But, far more importantly, it has become the colour of environmentalism, often acting as a flag of convenience for any enterprise which wishes to ingratiate itself with the public in the name of a more caring, sharing future: greenwash. Today green is everywhere in politics, if not in the natural world – so much so that it threatens to lose much if not all of its symbolic power. 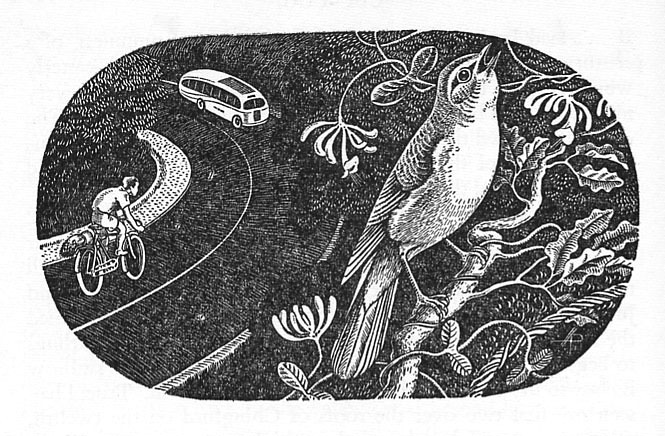 Bawden was probably right to suspect a colour that came too readily freighted with a set of benign and comfortable associations, believing that human reality (as well as the artistic representation of landscape) comes not in bold colours, but in many shades and hues between.